Please check out our monthly blog posts on the right hand side. They document our performances. Want to know about upcoming shows ? Saturday, March 9, 2019, – Mail Art Table Workshop – Art Lab, Snug Harbor Cultural Center, SI, NY. This event will happen during the Student Show Opening Reception. Saturday, March 23, 2019, – Mail Art Table Workshop – “Spring Awakening” , Flagship Brewery, SI, NY. Join us for a celebration of community, hope, and fun! 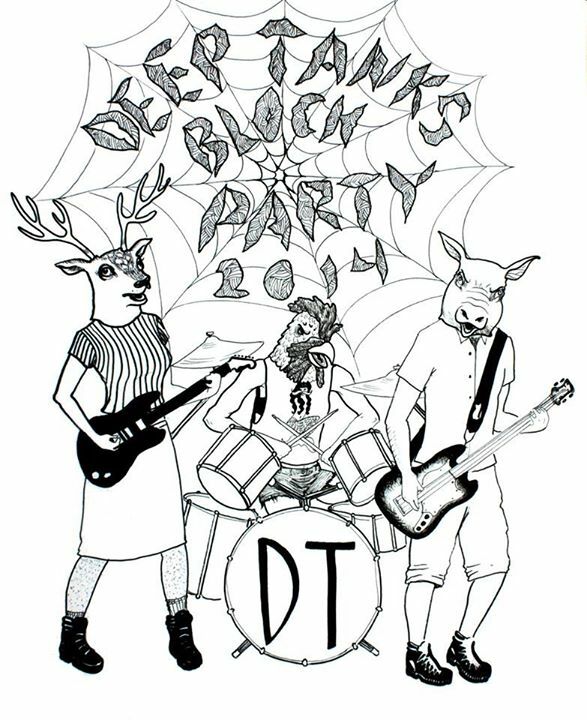 Join Day de Dada to celebrate the Solstice with the Hungry March Band on Friday Dec 21, 2018. Come as a Brilliant Star, a radiant Beam of Consciousness, a Winter Demon, a Sliver of Silver, or a Raging Wind of Change ! 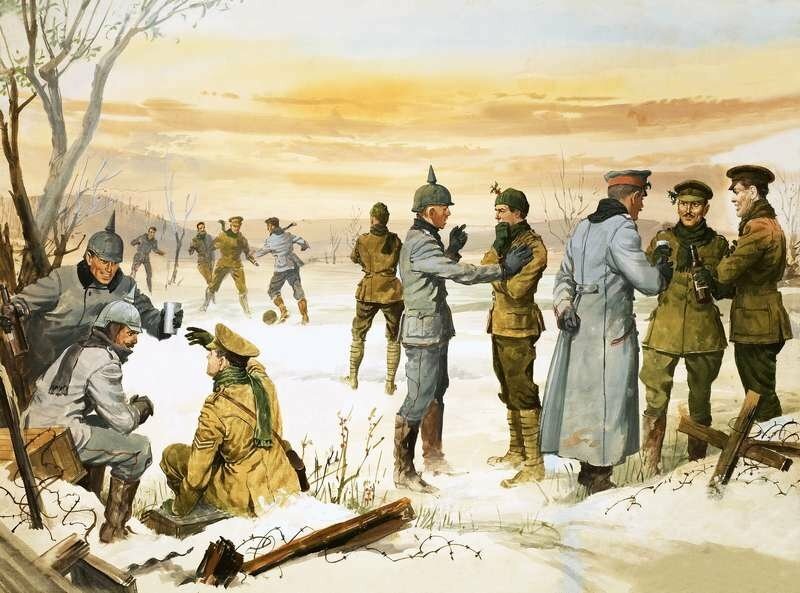 FOLLOW THE LIGHT ON THE FIRST WINTER’S NIGHT! A collaboration with Somerville artists on a live photography event. Day de Dada collaboration with Cre-a-tion Dance Collective including costumes created by Day de Dada and a special appearance by the Art Nurses. Day de Dada Art Nurses : June 2018 as part of Dadamobile – Art Residency in Boston, MA with Mobius . Day de Dada presents “Apres Avant Garde Festival” on the Staten Island Ferry, Sunday, October 1, 2017. The event will commemorate the 50th anniversary of the 5th annual Avant Garde Festival that happened for 24 hours on the September 30, 1967 Staten Island Ferry. The Apres Avant Garde Festival will have elements of the original festival- dance, music, video and interactive performance. At the Festival Opening, Day de Dada will create an interactive video especially for Arts on Division. Get ready to share when you are asked the secret question about AOD. LUMEN8 – an exhibition celebrating the past seven years of Staten Island Arts’s LUMEN Festival. This exhibit will feature video, sound art, performance art, and ephemera from past festival participants and honor the artistic genres that the festival highlights. 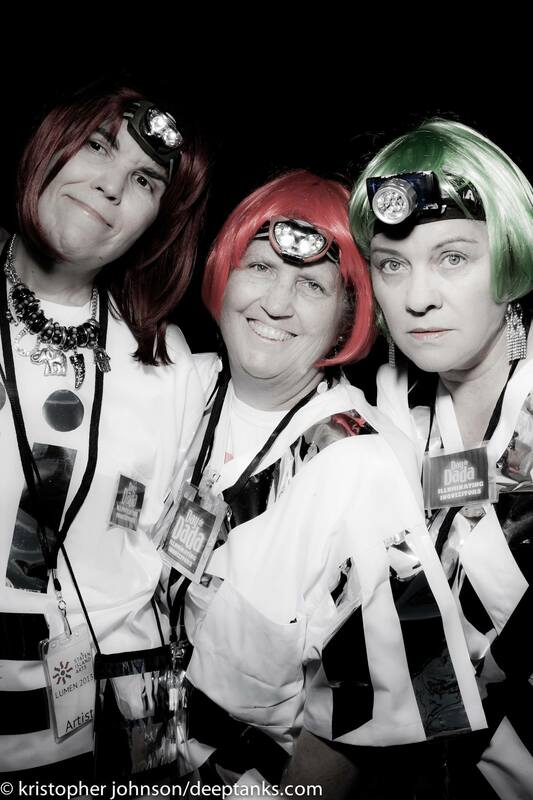 It will include Day de Dada props, videos, and pictures of past Lumen performances including the Art Nurses. 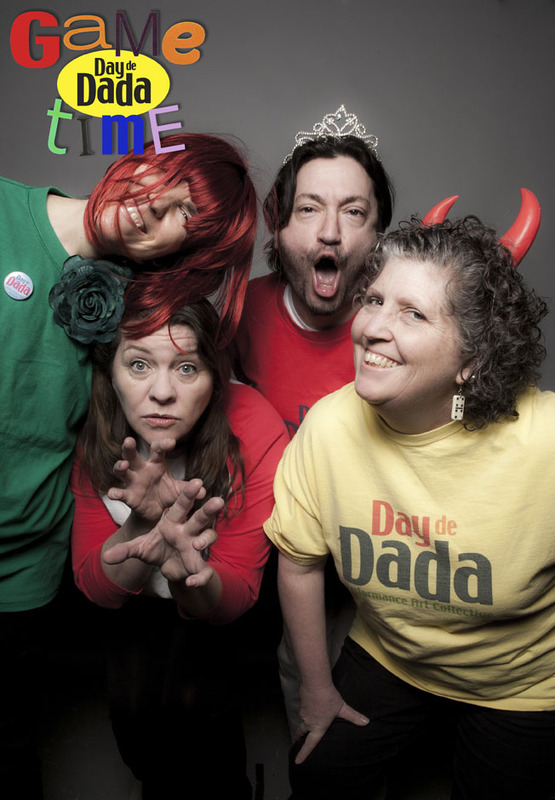 A look at Day de Dada History through Props and Performance Documentation. Viv Vassar and Mary Campbell received an Acker Award from Clayton Patterson for their work organizing Day de Dada Performance Art Collective events. Day de Dada artist- Leslie Lowe also received an Acker Award for her art. October 8, 2016 Catch Day de Dada at the 2nd Saturday Workbar Union Art Market on October 8, 2016. 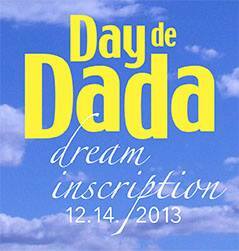 We’ll be celebrating Dada’s 100 Birthday with all the cool people at Workbar in Union Square, Somerville, MA. Become a star as Day de Dada Performance Art Collective creates video reenactments of Aesop’s Fables. Props and Costumes supplied, no acting experience necessary! June 25, 2016 YES! Members of Day de Dada performance art collective will be at LUMEN 2016 celebrating the 100th year anniversary of the Dada art movement with various actions & performances. Look for the spinning wheel and take a chance! Mary Campbell commemorates the Baroness Elsa Von Fretag Loringhoven, M & M (Milenka Berengolc & Margaret Chase) will be your springboard to twin troubles & double fun. Wear the Helmet of Truth and speak your mind! Have your head examined, literally! Play “EAT MY WORDS” hosted by Edible Eddie, a man who loves his food. 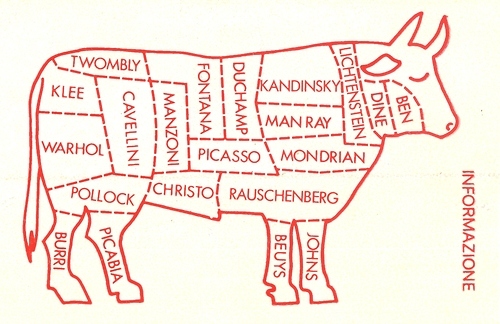 How many foods can you name in the category you have chosen in one minute? A tasty game to play.”, “Hello My Name Is …..” Viv de Dada helps you chose your new “Lumen-ous Name”, Day de Dada spinning wheel constructed by Mark Semanchik. April 1-3 Fri, Sat, and Sun – Grand Guignol – short one act plays with suspense and horror themes at Hub 17 on Bay St Staten Island. We are playing Dada Games in between the plays as the sets are changed. June 11, 2016 – Mandala Mail Art reception and sale at ETG Book Cafe. 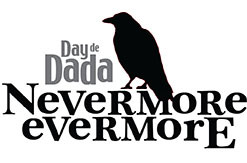 Day de Dada performances to celebrate the 100th year anniversary of the Dada art movement. June 25, 2016 Sat – Lumen – happening at Atlantic Salt, Staten Island this year. We are. celebrating the 100th year anniversary of the Dada art movement using traditional birthday actions. Join Day de Dada at the Staten Island Creative Community Gallery at 776 Richmond Terrace, SI, NY for readings from the Wish Tree and a chance to send postcards from the “Home” show. On July 16th, Culture Lounge’s new exhibit “WISH,” created by Day De Dada and organized by Gena Mimozo, will ask visitors to the gallery space at the St. George Terminal, “What do you wish?” The exhibition will feature wish themed mail art sent in from around the world, Videos and the “Whispering Wishes” sound installation. The Wish Sisters will collect wishes from people using traditional and non-traditional methods throughout the run of the exhibition. Viv de Dada catches whispered secrets and carefully transfers them into a large bottle with a crystal stopper. Jennifer Weigel has people attach wishes to pennies that participants can take with them or leave for someone else to find, as a means of voicing desires. Mary Campbell gives people the chance to test their luck with the old ritual of breaking a wishbone. Barbara Lubliner offers wishing advice and super charges wishes with the power of the elements before collecting them in a golden box. Staten Island OutLOUD presents “Be Careful What You Wish For?” a reading – and perhaps a warning – about the wishes we make. What do you wish for? Think carefully before you answer that question! Margaret Chase asks people to select a handmade bead and string it with wish intention, multiply its power by combining it with other beads for concentrated hope. Lydia Grey creates the opportunity to plant and grow wishes by supplying seeds and soil. Milenka Berengoic as the “Wondering Healer” takes photographs of people, asks them what they wish for, and then sends healing energy via Reiki (a vibrational form of healing). The photos will be posted online and a ritual will be performed for all of the people represented. Join us for the closing reception! Last chance to join us in making Mail Art for this years series on Wishes. We’ll be at ETG Book Cafe from 6-8 with our Magic Mailbox and supplies. Stay after the Mail Art Event to hear Matt and Nina Long and Friends for a fun evening of musical sharing. Day de Dada Art Nurses will be at Lumen , Snug Harbor, Staten Island. 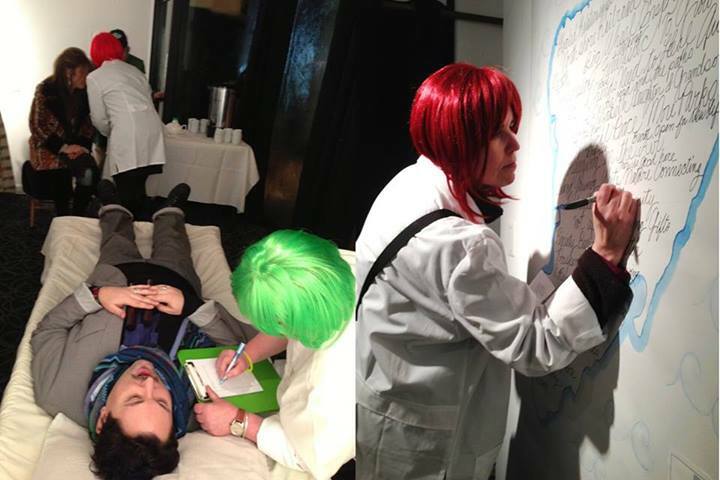 Get your art health check up and join us for Ephemeral Procedures. We’ll be at Phoebe Blue’s Creative Happening at Hashtag Bar with supplies to make Mail Art. Come join us and stay for the cool music, word and sound art. 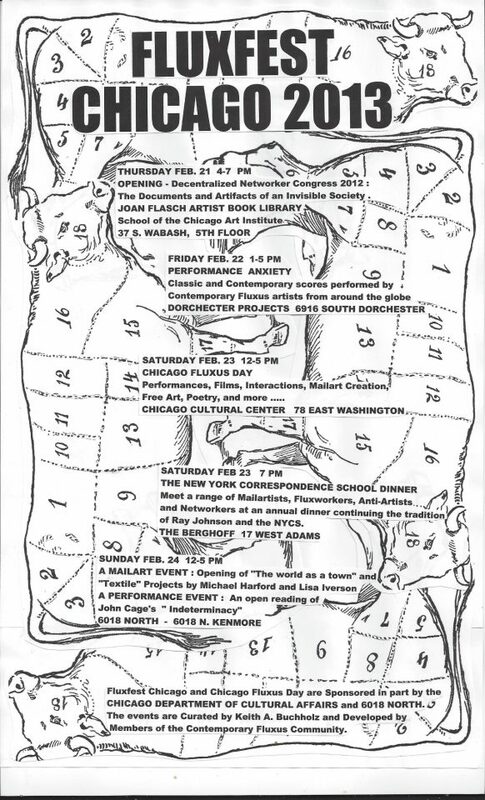 An international Fluxus gathering with scores, performances and more at various locations including the Chicago Cultural Center. Day de Dada will be part of a “Month of Performance Art – Berlin” a non-profit, non-funded, month-long and city-wide collaborative platform of performance art. To promote and support Berlin’s independent, contemporary and experimental performance art practice. We will be collecting wishes…. 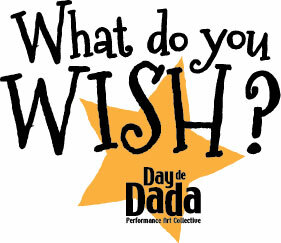 be careful what you wish for…..
Dream a dream and share your wishes with Day de Dada at the art-tastic “Art on Division” on Saturday, June 21st. Everyone is invited to post a wish on the “Wish Wall” or share your dreams for the Somerville art community on the mobile “Wish Collector.” It’s all comes true with Day de Dada and the Somerville Arts Initiative. Arts On Division is an outdoor festival of the arts in downtown Somerville, NJ. Enjoy live performances including dramatic readings, dance, music, and meet-the-author events. Day de Dada at Lumen. Light, sound, film, music, live art, interactive installations at the Atlantic Salt Company’s waterfront dock. Join us for this uplifting collaboration of music, performance and video. 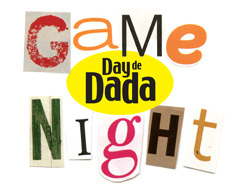 Help create a sand mandala, enjoy psychic readings and explore Totem Animals with Day de Dada. Staten Island artists get spooky and raise money for a good cause. Join Day de Dada’s “Widows of Fillmore Street” and write your own obituary. Silly Skill and Chance… (Bemused?) Boxes Manipulated Monopoly Twisted Twister Murder Mystery Tableau, Procured Poems Furious Sneezing, Song and Sound! Set Your Inner (Wild) Child Loose! A collaboration with photographer Gail Middleton. “Earth, Air, Fire, Water” performance with scores collected from artists around the world based on the elements – fire, water, earth and wind. Streamed live on Bambuser. “Game Time” a spontaneous and interactive art performance. Use your nonsense skills to play “Chance!”, Ridicu-posterous word play, the Mad – Libber, “Hello My Name Is” and more. Let the Games Begin! 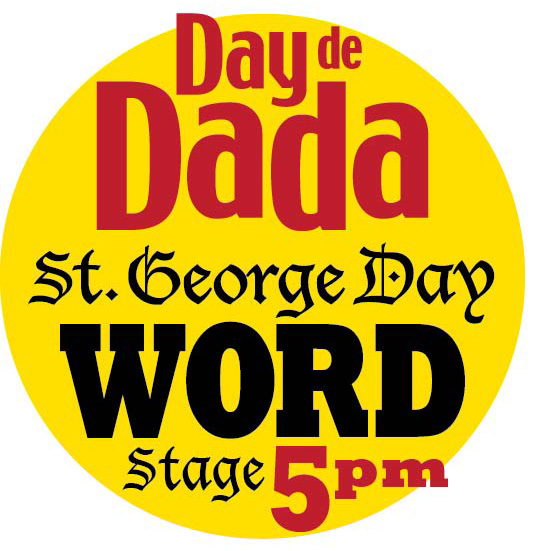 Dada fun and games at this annual art festival celebrating art, music, spoken word, dance and more. 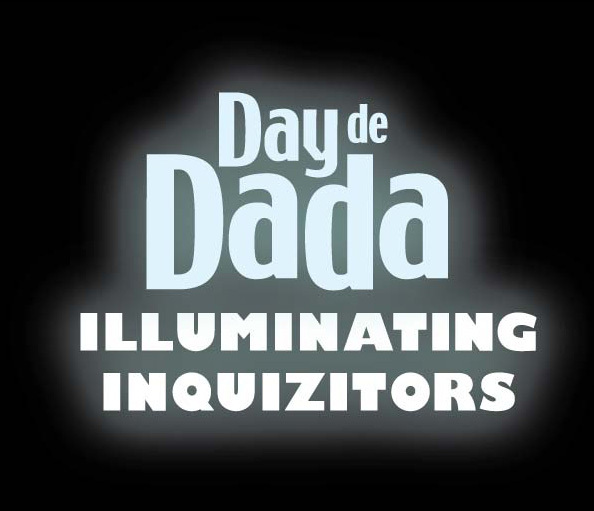 Seek Lumen enlightenment with the “Day de Dada Illuminating Inquisitors” Look for the big question mark! September 29, 2013 Nevermore / Evermore Open doors to dreams and illusions sparked by dance, sound and poetry “Dreamland” and “The Raven” by Edgar Allen Poe a collaboration with the Unitarian Church of Staten Island Arts Committee and SI OutLoud, part of the National Endowment for the Arts “The Big Read” featuring Stories & Poems of Edgar Allan Poe: Sept 21-Nov 17. December 11, 2013 Interactive Dada games at Edgewater Hall as part of Second Saturday Staten Island promotion.